"MORE THAN JUST A JOB SHOP"
Innovative Technologies Corporation has spent the last two decades creating a state of the art stamping facility utilizing technology that allows us to create precision stamped dies and componets which meet the rigorous design and cost challenges of today’s fast paced manufacturing world. Our West Bend precision stamped die customers have come to depend on Innovative Technologies capabilities and skill sets to overcome these challenges. The partnerships we create with our precision stamped customers breeds an environment where world class quality meets the cost effectiveness of a lean and competitive cost structure. For more information please contact us via email at contactus@inntech.us or by phone at 920-485-9715. Our philosophy is to strive for zero-defect production through innovative tooling, process control, and lean manufacturing techniques. 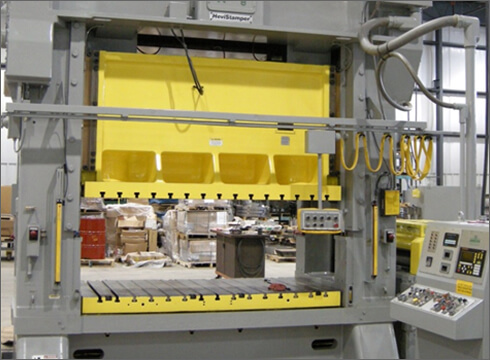 Small to medium volume production runs are processed on presses ranging from 15 to 400 tons. Progressive tooling and staged dies (hand transfer) are utilized when appropriate; and the latest in die protection technology is utilized to ensure production of defect free parts and to protect tooling. OEM Power Sports - Providing the finest cosmetic, functional, and structural components to the Motorcycle, ATV, Off Road, and Racing communities through reputable OEMs and aftermarket providers. Industrial/Transit Seating - Providing seating brackets, spacers, trim pieces, custom washers (shaped and flat), subassemblies, and weldments. Cosmetic and non-cosmetic finishes. Agricultural/Lawn and Garden - Including rods cut to length, brkts, assemblies and weldments for structural components. Residential Appliances - Providing brackets, structural platforms, and components direct as tier 1 to OEM manufacturers. Custom Fabrications - Providing structural bracing, fixtures, and test rigs to customer designs for physical testing performed on various types of equipment and safety equipment. Our Precision Stamped Dies and Component services can be found throughout many parts of the US including the following states and cities: Illinois, Iowa, Minnesota, North Dakota and Wisconsin. 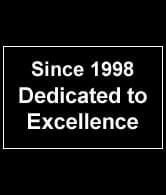 If you don't see your city or state, give us a call so we can provide the necessary information needed for your Precision Stamped Components and Dies needs. © Innovative Technologies Corp. All Rights Reserved.